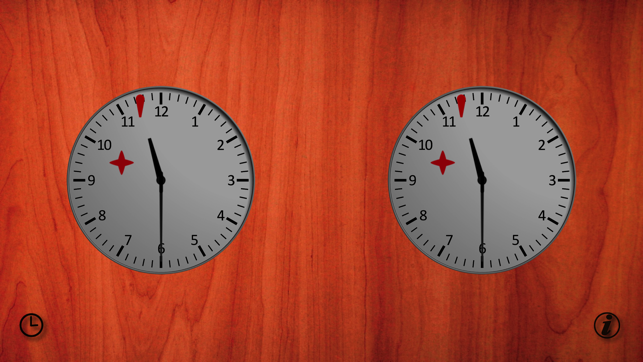 Two clocks. Touch one to start the other. Touch both to stop both. Touch the little clock to set the time, and the info button to change the settings. 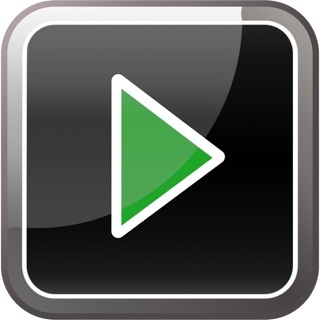 Auto-pauses when put in background. 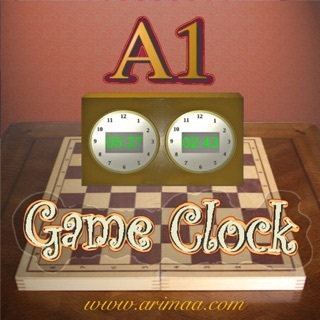 Chess Clock includes features found in high-end physical chess clocks, including Fischer, Bronstein, and USCF delay modes, which work in both digital and the visually appealing analog mode. Supports Retina graphics on the iPhone and iPad, and supports all iOS screen dimensions. The application works well. Both the analog and digital interfaces look fine, although they could use slightly larger displays. 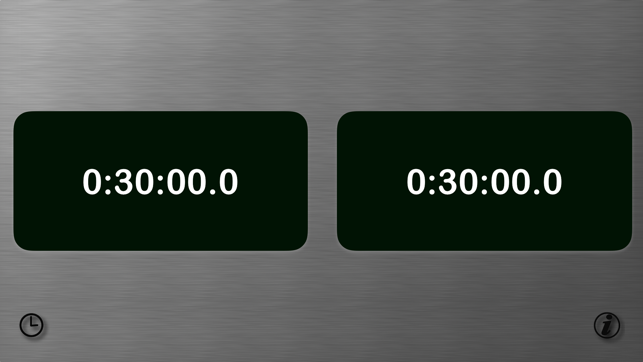 It's easy to change the time limits, and it's nice to have a game timer in my pocket all the time. However, I really hope that the developer adds an option to have the timers continue to run after time has expired. In chess it doesn't matter, but scored games, like Scrabble have point penalties for every minute over, not an automatic loss. That feature would make the clock usable in a greater variety of games, and it seems like it would be simple to implement. Otherwise, nice app at a nice price. I had been using the digital timer almost exclusively, but the analog timer DOES have the feature I sought. 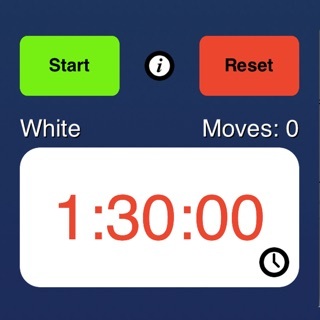 I'd still like it implemented for the digital timer, but Scrabble (and other games) players can use this timer and keep track of penalty time. 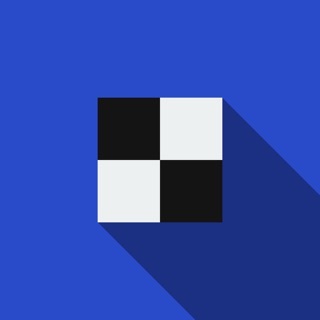 I fail to understand why the concept of a simple chess clock is so hard for any develop to implement competently. Seriously. It's. A. Timer. And yet, of about the three features that this one does, it fails spectacularly in one of them: setting a custom time. If you try to change the time using the standard iPhone number dials and click save... nope. Doesn't work. There's no way to change the time using the dials (for anyone interested, I actually did end up trying to press cancel to see if the labels on the buttons were reverse but that didn't work either). It really makes you wonder if some of these developers have opened their app a single time. Any chance you could make the touch area bigger for switching turns easier?